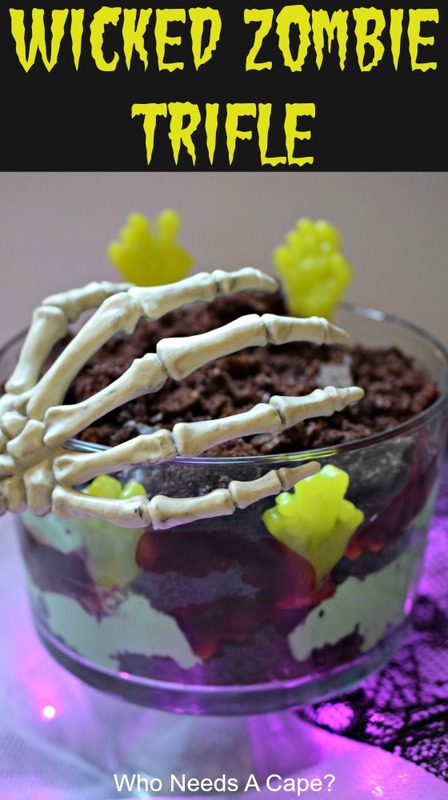 Wicked Zombie Trifle #HalloweenTreatsWeek - Who Needs A Cape? This post and recipe were created for #HalloweenTreatsWeek! I was sent samples by some of the sponsor companies but as always opinions are 100% mine. 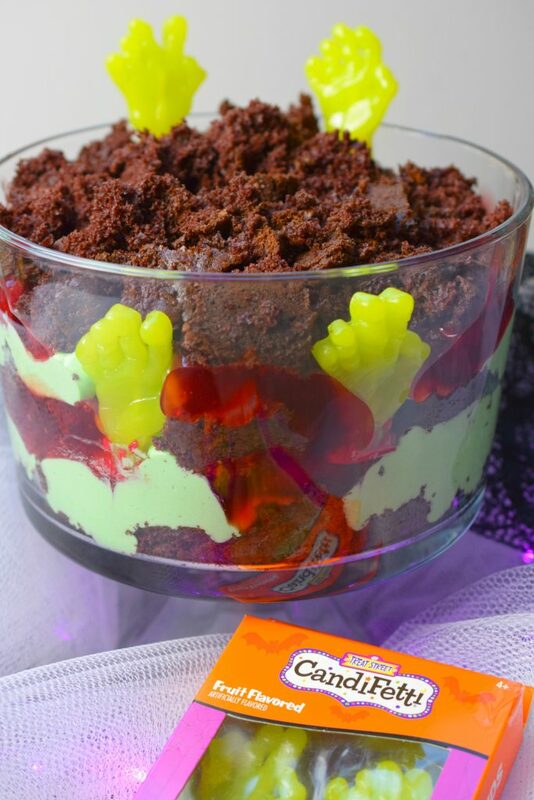 Wicked Zombie Trifle is the perfect dessert for Halloween parties! With layers of delicious flavors, customize the colors and have a spooktacular time! Well, my friends, we’ve arrived at my final addition to #HalloweenTreatsWeek! I think we can all agree it has been one ghostly good time! 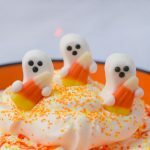 I’ve had a really great time creating some slightly scary treats for our followers while finding some amazing creations from my fellow participants. Also, be sure to scroll all the way down to the bottom to find a list of other participating bloggers in this event and links to their creations. PLUS…don’t forget to enter the giveaway, details are found at the bottom also. I just love a trifle at a party! Why? Well, they feed a crowd, can be made ahead of time and are customizable. 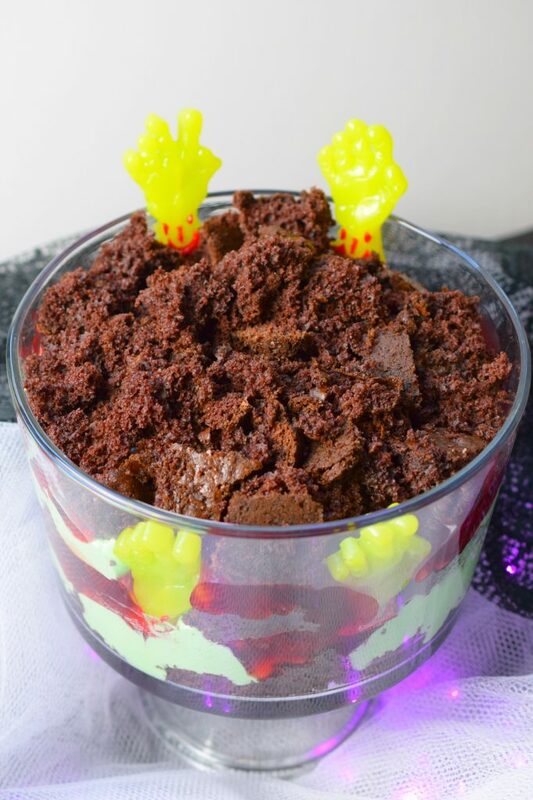 My Wicked Zombie Trifle has layers of crumbled Devil’s Food (how fitting, right?) cake, strawberry pie filling, and a mixture of vanilla pudding and Cool-Whip. YUM! The fun zombie part came from gummy fruit-flavored zombie hands from Treat Street USA. They added just the right touch of spooky. I added two down in the actual trifle and two emerging from the back as if escaping from the ground below. 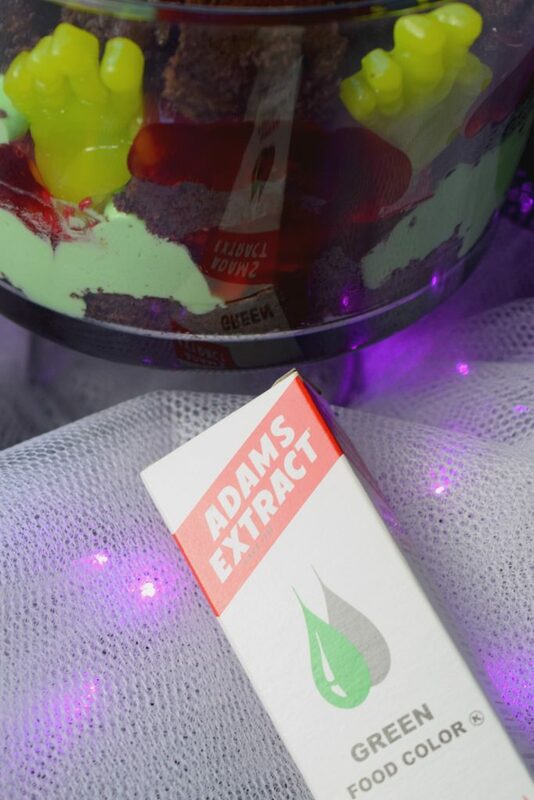 The green pudding layer came compliments of green food coloring from Adam’s Extract. It added just the right amount of ooey effect I was hoping for. 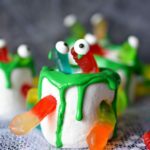 My kids thought this dessert was super fun and they aren’t crazy about creepy decor, it was just the right amount of “scary”. 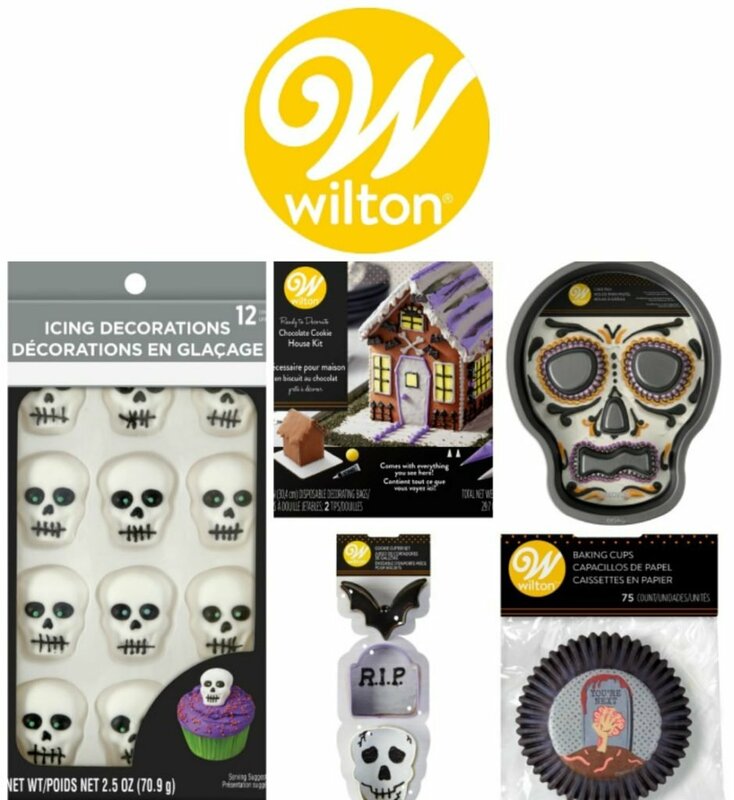 Add in a few Halloween decorations and you have yourself the perfect dessert addition for Halloween parties. Enjoy and Happy Halloween friends!!! 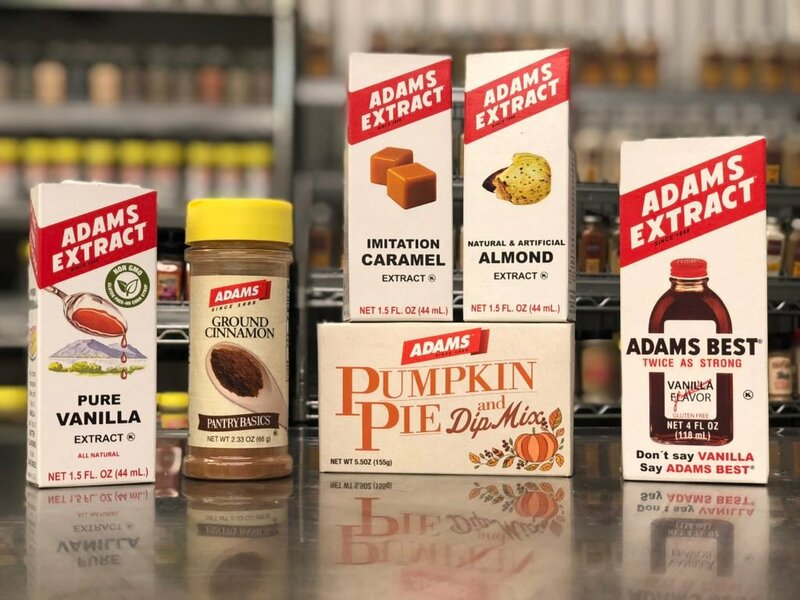 Use whatever flavor pie filling you’d like. Cherry or raspberry would be amazing too. No Devil’s Food cake mix? Use a brownie mix. Customize your pudding filling with other flavors, extracts or different colors. Combine prepared vanilla pudding and Cool-Whip, mix in green food color. To assemble: Begin with a layer of cubed cake, top with 1/2 of pudding mixture and 1/2 of pie filling. Repeat layers, ending with crumbles of cake as top layer. If using decor, place inside bowl 1/2 way through assembly and at the very end. 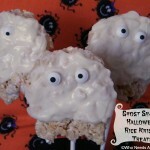 Check out the amazing #HalloweenTreatsWeek recipes from our bloggers today! 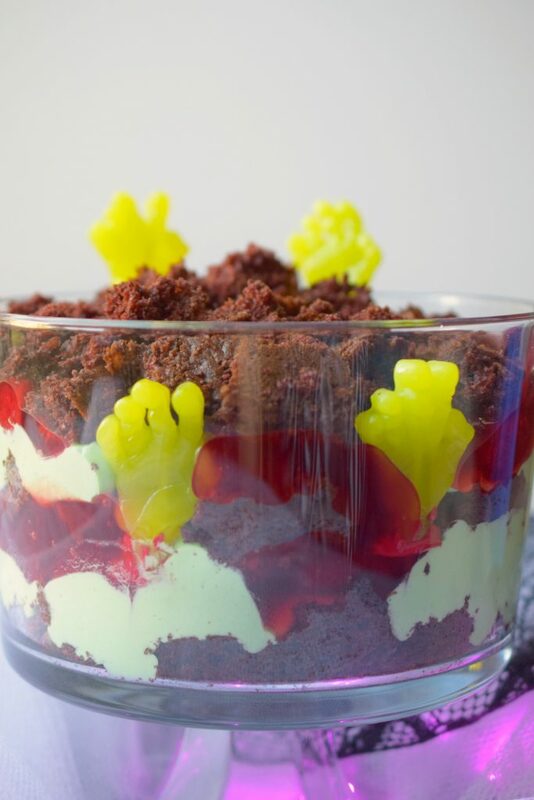 Wicked Zombie Trifle from Who Needs A Cape? Happy Halloween! We hope you’re ready for a spooktacular event as we celebrate Halloween with the first annual #HalloweenTreatsWeek event hosted by Angie from Big Bear’s Wife. 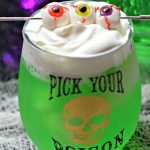 This haunting week-long event is filled with fantastic Halloween treats, recipes and some frightfully fun giveaways. 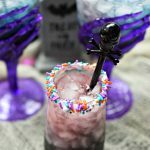 For our very first #HalloweenTreatsWeek event we have 30 talented bloggers that are sharing their favorite Halloween recipes throughout the week! There are going to be over 100 Halloween themed recipes shared during this year’s #HalloweenTreatsWeek and we can’t wait for you to see them all! Plus, don’t forget that we have 5 (five) great giveaways for you this week thanks to our amazing sponsors! Scroll down to take a look! Prize #1 — Dixie Crystals is giving away one (1) Instant Pot (8 Qt) to one lucky winner! Giveaway open to US Residents 18 years or older. All entries will be verified. No PO Boxes Please. Prizes will be sent directly from sponsors to winners, bloggers are not responsible for prizes. This giveaway runs from October 1st – October 6th at 12AMEST. Winners will be selected soon afterward and contacted by e-mail. Winners will have 48 hours to respond or a new winner will be chosen. There are a total of 5 (five) prizes and therefore we will have a total of 5 (five) winners. No purchase necessary. Void where prohibited by law. 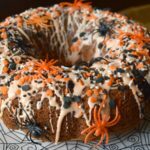 Disclaimer: These posts and recipes are part of the week-long event, #HalloweenTreatsWeek but all opinions are 100% mine! 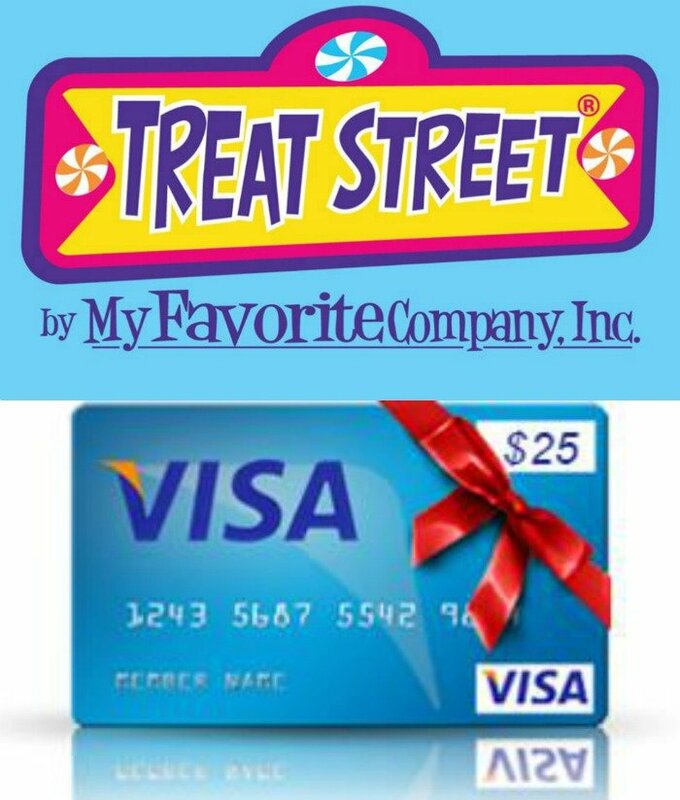 We would like to Thank our amazing sponsors: Dixie Crystals, Adam’s Extract, Wilton, Sweets and Treats Shop and Treat Street USA ! 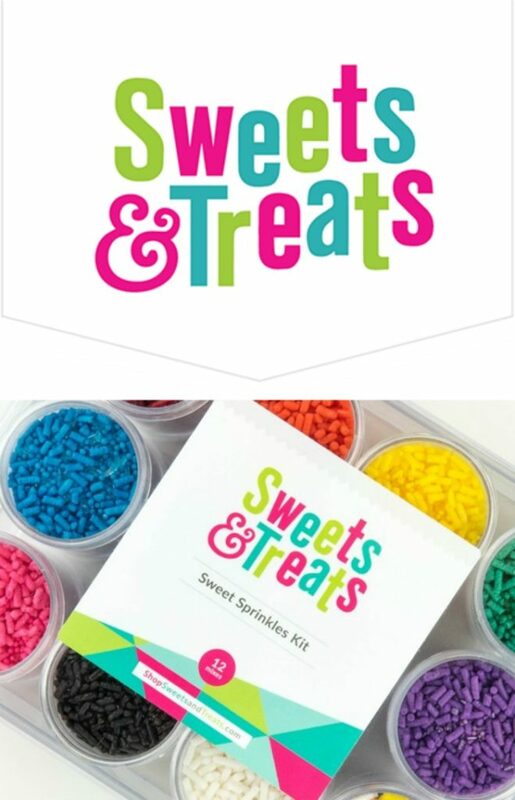 These wonderful sponsors provided the prize packs for our giveaways and also sent samples and products to the #HalloweenTreatsWeek bloggers to use in their recipes. My favorite Halloween character is a clown, because they are creepy and scary! Caramel popcorn balls are one of my favorite treats. my neighbor used to make them every year when I was a youngster. 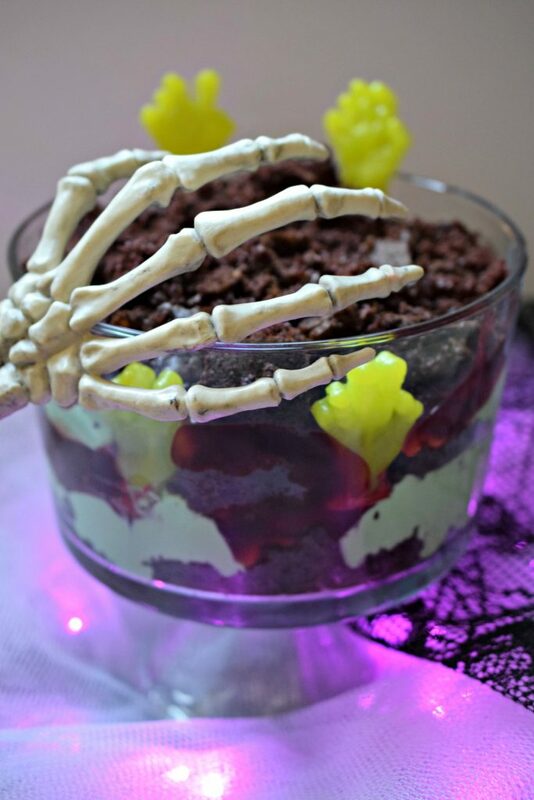 I love trifles, and a Halloween dessert is just what the spooky witch doctor ordered.